What do you do with TIME is out to get you? 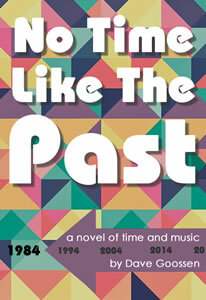 A novel of the music of our youth, the struggles of adulthood, and how change happens – to us and the places we love – whether we like it or not. I successfully completed NaNoWriMo 2017, finishing my first draft of this novel, 74,001 words, and I’m very happy with both my writing and the accomplishment of that many words in under a month! Now on to the second draft!